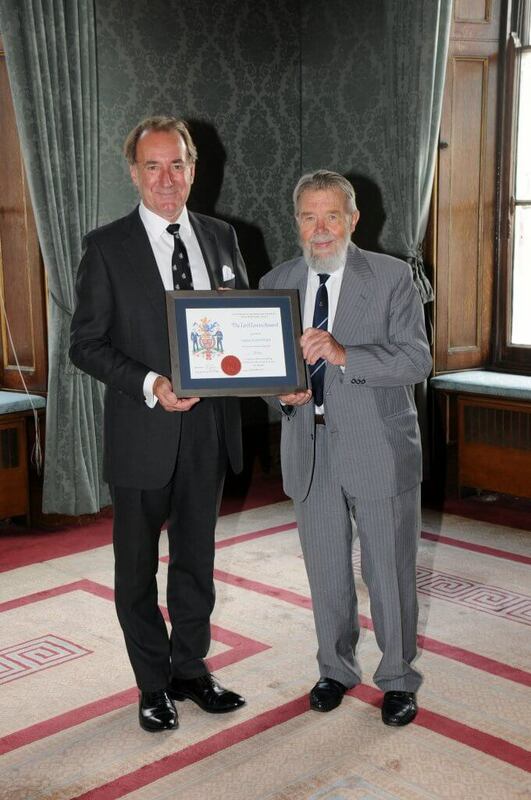 Captain Asplet has been the Society’s volunteer Honorary Agent in Jersey for 21 years since he took over the position in 1996. After a working life spent at sea from the age of 14 when he joined the Thames Nautical training college, HMS Worcester. After leaving the sea in 1986 he became and remains a member of the Jersey Pilotage Board. He also heads up a small group of enthusiasts who maintain and operate six Jersey Heritage Trust boats which range in age from 12 to 120 years. The large collecting mines are important to us as you have heard both in generating donations and being the only physical manifestation of our existence. Most of our people look after one mine but Captain Bob likes a challenge and looks after three; one in Gorey, one at New North Quay, St Helier and the other at West Park, St Helier. He has done an excellent job, regularly painting and refurbishing them and generally keeping them looking as presentable as possible despite the ravages of time and the salt air, as well as emptying them. The mines continue to collect well – averaging around £400 per year: a significant contribution to our income over the years and a major commitment by him. A voluntary commitment that deserves our special recognition.